Teddy, the adorable little dog on both the front and back cover of “There’s a Dog in the House,” died last week from the affects of advanced kidney disease and congestive heart failure. We estimate that he was between 16 and 17 years old. 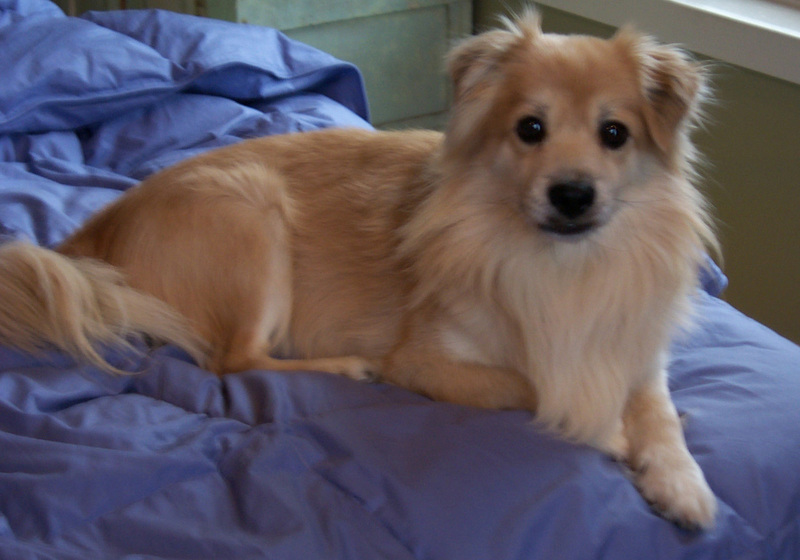 Teddy came to us from an animal shelter in October 2002 when he was approximately 8 years old. The year before I had been diagnosed with Hodgkin’s Lymphoma. I was successfully treated with seven months of chemo and a month of radiation. Soon after my treatments ended our Doberman Willa was diagnosed with cancer in one of her lung lobes. She died a few months later. It was more than I could bear in one year. I knew we would get another Doberman but I wasn’t ready yet. So I thought it might be a great idea to adopt a small dog, something totally different. My husband agreed. The search lasted several months. 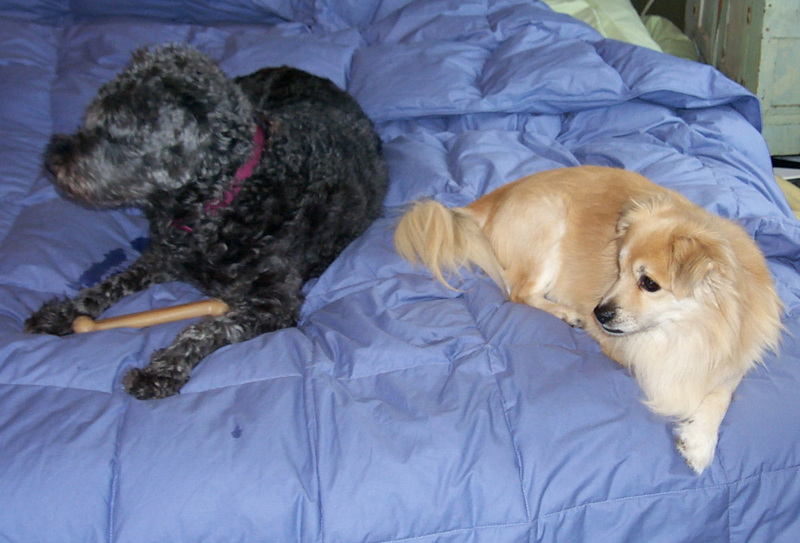 Small dogs are often hard to find in animal shelters. They are so popular that waiting lists are created for them. 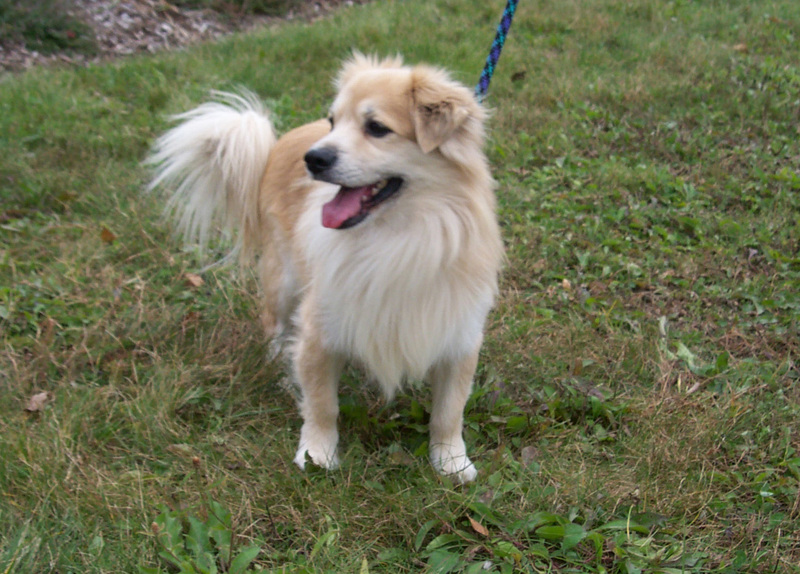 One Friday afternoon around 3 pm I was looking at a local animal shelter website when I saw an image of Teddy. His eyes nearly popped off the computer screen at me, and I was transfixed. I called the shelter and they told me if I could get down there before they closed, in less than an hour, he was mine. I threw our dog Nellie (a Schnauzer, American Water Spaniel mix) in the car and drove as quickly as I could to the shelter. I got there before they closed, met with “Skippy” (his shelter name), introduced him to Nellie (who seemed to care less) and sat down to do the paperwork. He seemed like a nice quiet but shy dog to me. He happened to be in a glassed-in kennel directly behind the desk where I sat to fill out the paperwork and he barked the entire time. I started to have doubts about this quiet and shy dog, but he came home with us in a few days anyway. His Name. We changed his name to Teddy. I thought I would honor my father by naming our little guy after his favorite childhood dog. Back in the ‘30s and ‘40s his Teddy was a typical farm dog referred to as a “sheep dog”. His Teddy could do no wrong! The way Dad talked about Teddy you would have thought he was the basis for the Lassie movies. Big shoes to fill, but our Teddy was up to the task. Since Teddy had no previous training I quickly enrolled him in dog classes. Although I have lived with dogs my entire life most of it was spent without doing serious dog training. With Teddy I started to get serious. At first Teddy was shy and aloof around other people and dogs, but those classes gave him confidence and he started to shine. Perhaps the biggest benefit was for me. When I was in dog class or training him I no longer thought about cancer and my worries would vanish. Soon we did get another Doberman and I started taking more obedience classes and agility classes. I became hooked on agility and when Lena could no longer physically do agility we acquired Quinn, a wonderful Shetland Sheepdog. In 2003, because of my cancer experience and my renewed interest in dogs, I decided I wanted to do something meaningful that involved things that I loved. So I applied for a sabbatical entitled “Living with Pets: Designing Interior Space with Animals in Mind.” Initially my research was broad and covered all pets, but I soon discovered that I preferred to focus on dogs alone. I started to meet many interesting people in the dog community, both locally and nationally. Teddy and I attended the first “Camp Unleashed” in Massachusetts where I have since given presentations. (I will be doing a workshop at CU again this September.) My sabbatical led me to the creation of the book “There’s a Dog in the House” which I co-authored with dog expert Amy Fernandez. Teddy was destined to become a very important part of this book. In addition to the covers, there are images of him throughout the book. He is in the book more than any other dog. The reason was simple; Teddy would sit in any pose for as long as I needed him too. Long after the other dogs would leave the scene he would sit just as I placed him. And, I always thought he had “star” quality, suitable for a cover. Several years ago BARK magazine ran a contest searching for “cover dogs”. I entered Teddy in that contest but he didn’t win. Maybe he was waiting to find just the right cover. We will miss Teddy dearly. There’s a lot more that I would like to tell you about Teddy. 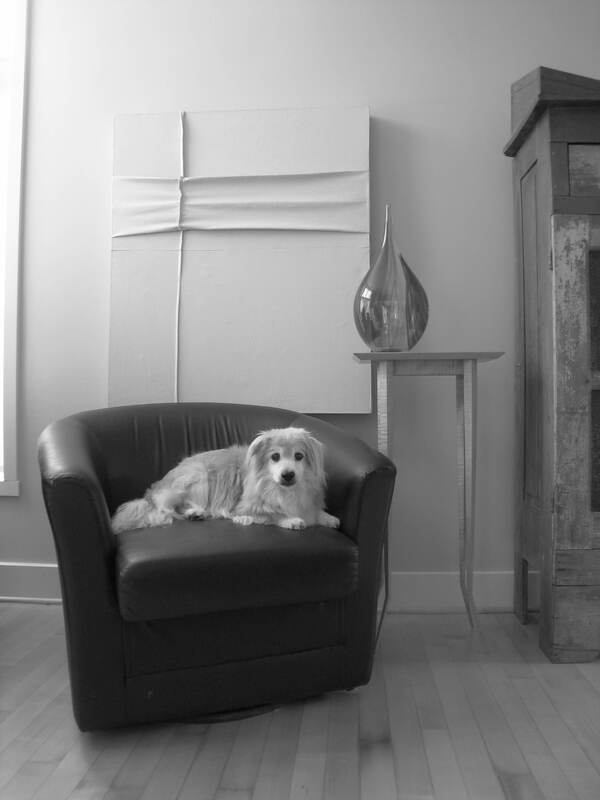 He has inspired me to write a series of posts about what my dogs have taught me about design. The first one will be about what Teddy taught me. Look for it soon. This entry was posted in Book and tagged Dog, home design, interior design. Bookmark the permalink. 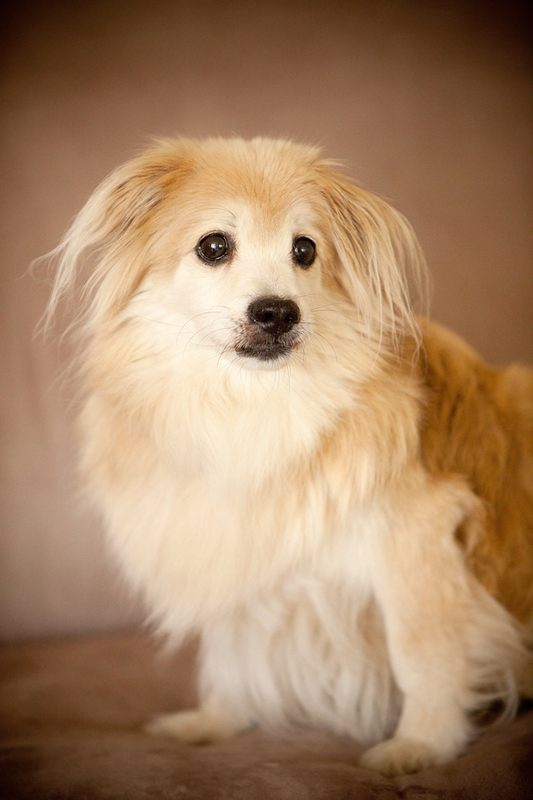 Teddy was an amazing dog and I am so glad I got to spend time with him. One of my favorite memories of him is how he could curl into the littlest ball and share your pillow with you. He will live on, fondly, in our memories. That’s a beautiful memory. He was an amazing little guy.